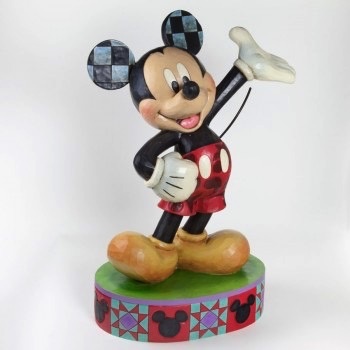 This giant (25" tall) Mickey Mouse is sure to catch the eye of every passer by. Designed by JIm Shore for Disney Traditions. Made from Stone Resin. *This is a large item that cannot be shipped for a flat-rate outside Tasmania. Please email shop@reliquaire.com for a freight quote interstate.